For my first run with the 20% Project, I made several deliberate commitments that I considered paramount for a successful project. One of those commitments was to rely as much as possible on “intrinsic” motivation. Intrinsic movitation is a nice thought, but the reality remains “kids are kids.” While this project absolutely liberated some students, it invited others to fall back on old ways of delay, deny, and dodge. As a result, I’ll run toward more structure for the next crew. 1. It’s difficult to “cheat” on the 20% Project. You can’t just copy somebody else’s homework, you must do your own original work. The array of excuses on checkpoint days was varied, but not terribly inventive. 2. Allowing great freedom on 20% days was not successful. While the point was to allow students to engage in whatever they chose, the reality was that many did other homework, surfed the web, or socialized with friends in the library. These wanderers also tended to be the ones with the most excuses and the most complaints. The problem, at least concerning a portion of my population, was the same as always. What motivates students to learn on their own? Complete freedom does not necessarily equal success. I discovered early on that my 20% blog was distracting my students. They were reading about themselves. For fear of adversely affecting them, I switched to pen and paper in late February. Over the next several weeks, I’ll update my first year 20% posts. First up, the Potato Posse. On June 20, 2015, four high school boys from Endicott, New York broke a world record. Not just a record, but a world record. They cooked up 2,641 pounds of mashed potatoes and donated the product to local food kitchens. 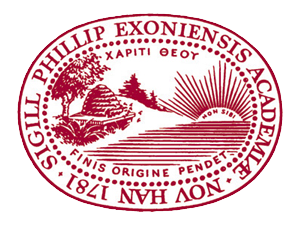 A few years ago, I attended the Exeter Humanities Institute. One of the most important things that I learned that year was to trust the students. In the context of the Institute, the trust was that students would find their own ways out of those awkward silent lulls that can arise during Harkness discussions. Our instructor, Kwasi Boadi, told us to trust the silence and trust the students. We teachers must resist the urge to rescue students and set them on the path that we deem correct. Kwasi’s advice has changed the way I teach. It has also influenced me greatly as I go through the 20% Project with my students. I made a secret commitment to trust whatever the students came up with for their projects. That’s not to say that I wouldn’t or didn’t help with honing ideas; it just means that I vowed–to myself–not to interfere with the essence of their ideas. And let me tell you, that wasn’t easy. There was more than one project idea that struck me dumb. That’s when the “trust the students” strategy really paid off. I gave the students time to think through their initial plans and to do some initial research. The results have been impressive for the students and for me. For example, I have one student who told me that he wanted to go Bigfooting. I thought he was making fun of the project or just being silly. Of course, this didn’t make sense because this student is at the top of his class. As it turns out, there are Big Foot clubs and societies all over the world. They do extensive research on terrain, weather conditions, and “sightings.” This student is now planning a Bigfooting trip in upstate New York. Then there are the Brotatoes, 4 boys who want to break a world record for the most mashed potatoes in one serving. Again, my initial reaction was skepticism. However, the project is actually an enormous lesson in business planning. 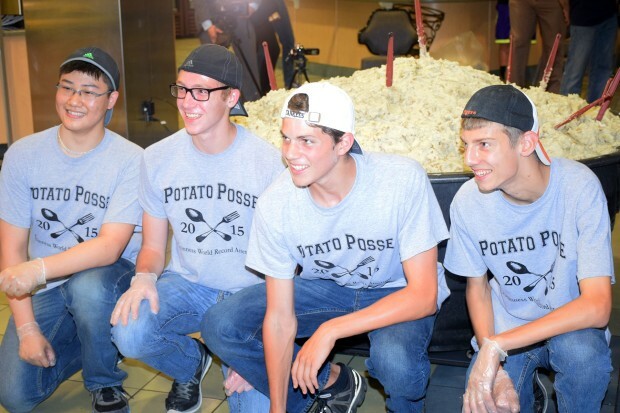 The boys have to advertise, raise money, contact officials, arrange a location, find volunteers, get equipment, and actually pull off the cooking of over 2,000 pounds of potatoes. Trust the students! Help them, but let them find their own questions and their own paths. Let them pursue their passions. Why did I choose to implement the 20% Project in my classroom? As so many of us do, I constantly strive to combine “the best practice with the next practice” (Kylene Beers). I attend workshops; I network with teachers; I read articles. I also have a restless spirit. I know that my best work often comes when I am embarking on a new adventure. The 20% Project is good for the students and for the teacher. I planned my first 20% Project for my high school juniors for nearly 10 months. Of course, that wasn’t 24/7 planning, but it was a considerable amount of thinking about ideas, reading articles, watching videos, and connecting with other educators. 1. Give students plenty of time to come up with their ideas. 3. Understand failure, and help students to understand failure. 20% Time is a foreign concept to American students. The average public school student in the United States has grown up in a system that prizes straight rows, quiet children, and planned outcomes. Students know that to get a good grade they must read the chapter, complete the homework, take the test. The 20% Project shifts this paradigm by placing creativity, autonomy, and passion at the fore. Students create their own research ideas based on their own understanding of the world. Then they bring their ideas to life using whatever traditional or non-traditional means they choose. Do timed writing assignments that ask students to examine what makes them happy. You might give them 2 minutes to list all of the places that they’d like to visit. Or 10 minutes to come up with a 20-item bucket list. Or 1 minute to jot down all of the things that they like to do when they should be doing something else. Scatter these assignments out over days and weeks. Show videos of other teachers’ 20% Projects. One of my favorite videos is by a young lady named Kitty McKay. Kitty talks for about 7 minutes on her project. She worked for an entire school year to raise money to go to Kilimanjaro. Introduce students to mind maps. Mind maps are incredibly helpful brainstorming tools because they encourage chaos and connection at the same time. Have students write an idea in the middle of a blank page and then brainstorm ideas using words, sketches, and colors. Make sure that students hang on to all of their activities for future reference. It takes several days or even weeks before students really start to understand what you are asking them to do. Once the concept starts to click, however, the magic happens. I do the 20% Project with AP English Language juniors. Most of my students are very grade conscious. They’ll work hard, and they’ll go the extra mile, but they want a clear plan. This is why you must make sure that your BASIC expectations are clear. My basic guidelines: THE 20 PERCENT PROJECT – SPRING 2015. I’ll expand on several aspects of the project in later posts including my requirement that students blog once a week. For now, let me share some inspiration. 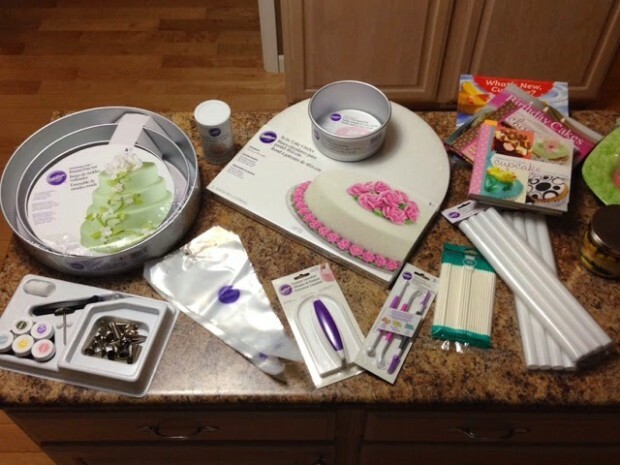 The picture of the cake baking and decorating items is from one of my student’s 20% projects. This student is among the smartest in her class and will no doubt be in the hunt for valedictorian next year. Once she finally understood that this project was not about me assigning a library research topic such as “Research and discuss how Shakespeare uses birds as symbols of darkness in his tragedies,” she came to me with an idea. She said, “Ever since I was young, I’ve been obsessed with the Cake Boss. I want to make a freaking awesome cake.” For her 20% project, she is researching how to make the big cakes that show up on television shows. She hasn’t let us in on all of her secrets yet, but we do know that she is somehow incorporating everybody else’s 20% project into her cake design.” If you’ve ever watched Cake Boss or another one of the cake shows, then you know that this is no easy undertaking. My student has roughly three and a half months to bring her vision to fruition. I can’t wait!